Brand personality: who really cares? In our data and analytics driven marketing world, why would something so touchy feely, so ethereal and hard to quantify as brand personality be something you care about? Everyone wants to be Apple. Everyone wants to, "Think Different." And everyone wants everyone to recognize that they "Think Different." It's human nature to want to be recognized, lionized and rewarded for thinking different, being different and hopefully better. B2B audiences, just like B2C audiences, have emotional reactions to brands. And they are looking for more Apples —companies with a compelling vision, impeccable execution and a brand that by mere association makes them "feel" enlightened, sophisticated, superior. Being a right brainer, I can't imagine fitting our clients' technological brilliance into my brain. But the seed of brilliance does not often produce the Apple. It is not always enough to have great technology and products. It takes the right "voice" to communicate the right messages, in the right way. Some would confine it to the use of language. I'd like to expand that definition: Voice IS brand personality. Tone, phrasing, brevity or lack therof, the "feeling" you get from the way words are presented. The "Think Different" campaign was 18 years ago, but the brand behind it is eternal. 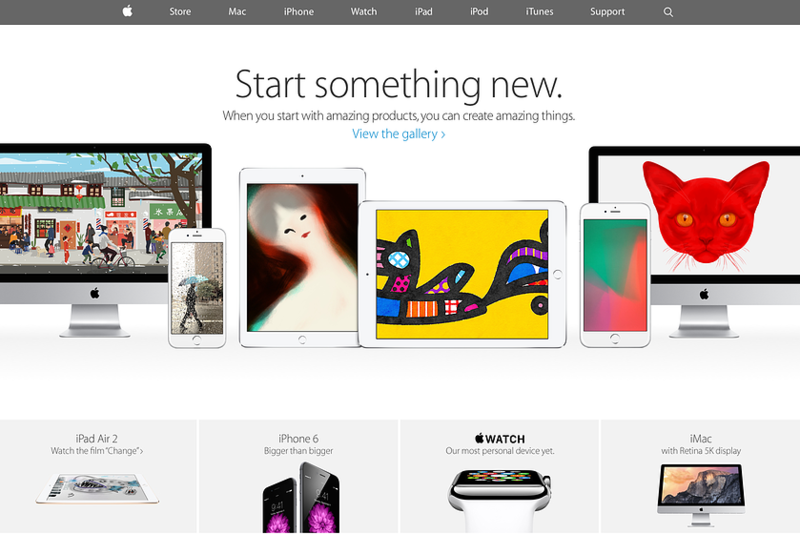 A recent Apple homepage had the headline, "Start Something New." A grandchild of "Think Different," "Start Something New" adds an empowerment message to "Think Different." The times in which we now live are all about the power of the consumer. Utilizing their unique brand "voice," Apple evolved their brand personality to meet the times. 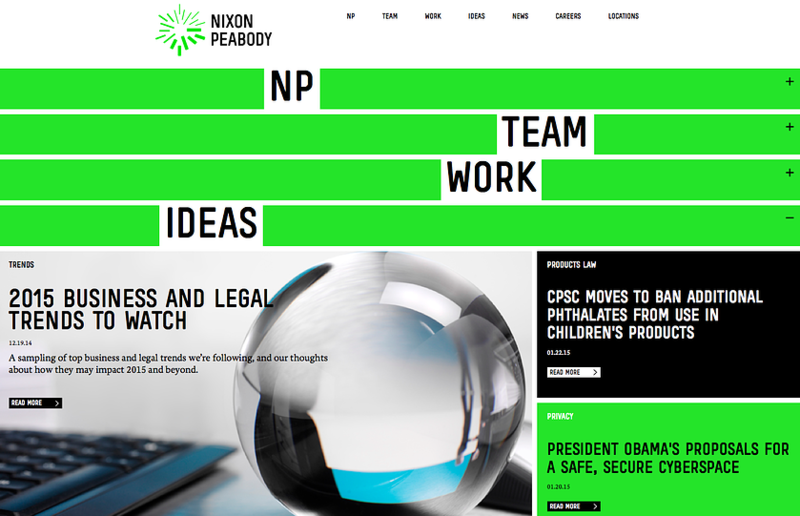 I'm really impressed with the law firm, Nixon Peabody's new website. This screen grab doesn't totally capture the experience, so I encourage you to visit the site. From a visual perspective, I don't really care for it. 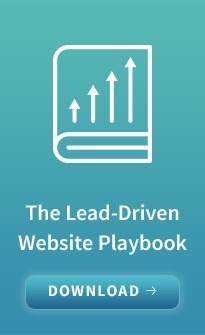 But once you click on one of those bars, up pops a wealth of content that strikes you with an immediacy that says, "we are in the moment, we are on the front line for our clients and we're a young, dynamic organization. "Remember, this is a law firm that is actually "showing" their relevance, not telling it. When you put this site into the context of other legal firm sites, the personality of the brand jumps out and grabs you by the white collar. Whether you like the design or not, Nixon Peabody is daring to "Think Different." Having frequented the very first Starbuck's in Seattle in the late 70's, I am a life long fan, but even an objective observer can appreciate the attitude and authenticity of the coffee-loving, community sharing persona they have cultivated over the decades. An example of this is in their use of social media, which could be a post unto itself. 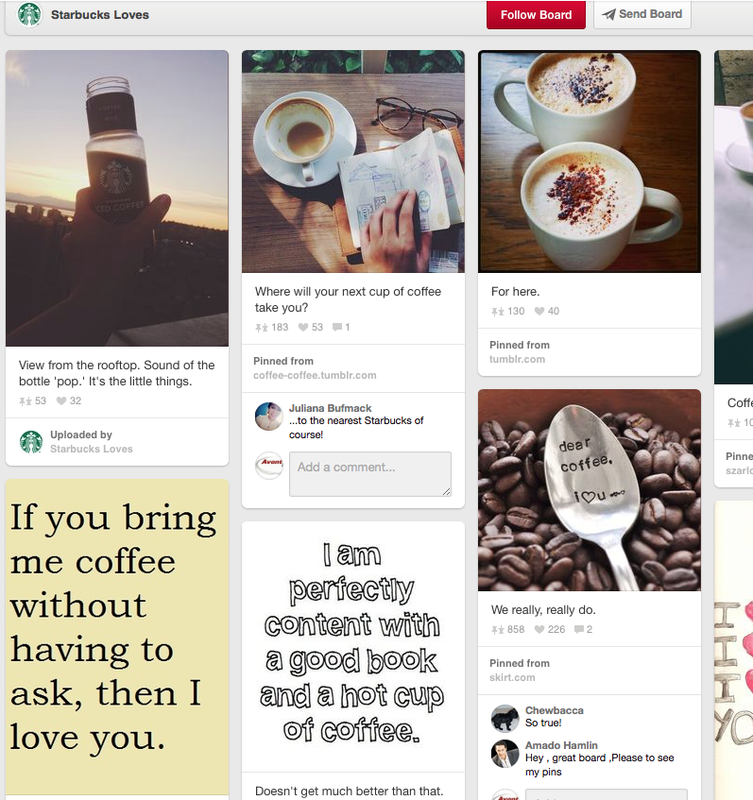 Their Pinterest "pins" are a great representation of the brand personality, and serves as yet another doorway to the coffee culture, a club that you want to belong to. What ties together the attributes of brand personality— the copywriting, tone, use of imagery, attitude and consistency of presentation — is authenticity. If you craft an authentic brand strategy, your authentic personality will emerge. Then all that is needed is the courage to express it.